Also you can set specific destination address for BMP copies, set automatic deletion of originals after conversion. All these options can be used whenever you need them, and be skipped, if there is no need to use them. By default CAD converter produces the exact copies of HPGL sources without resizing and rotation. 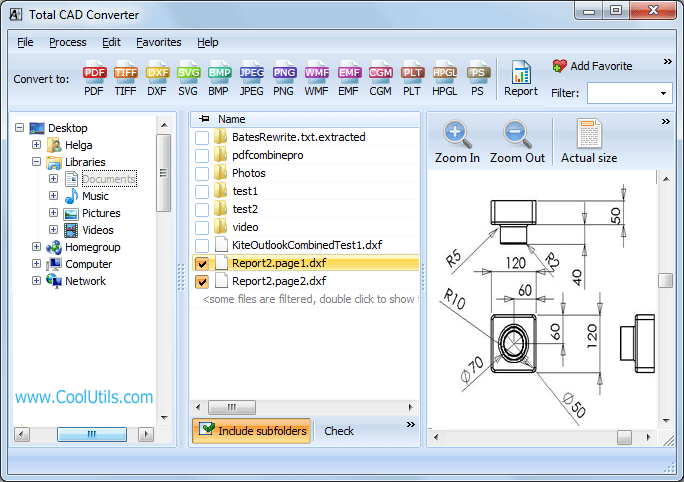 Total CAD Converter can process any number of originals in one batch. That is why it is one of the quickest! The order of action for converting HPGL files is very simple. When you open a program, you will see folder tree on the left side. 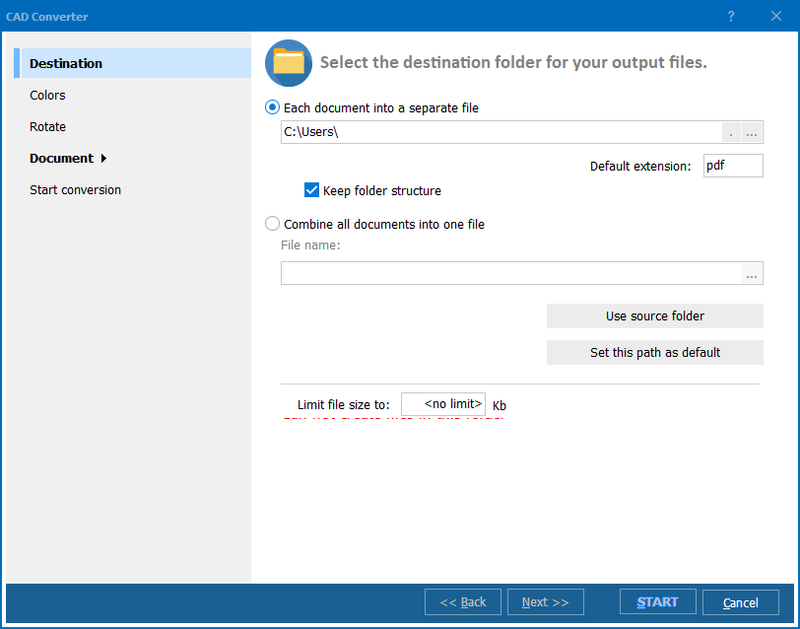 Navigate through the folders to find required source files. Pressing on some folder will open its file list to the right from the folder tree. There you need to check files that you need to convert from HPGL into BMP format. 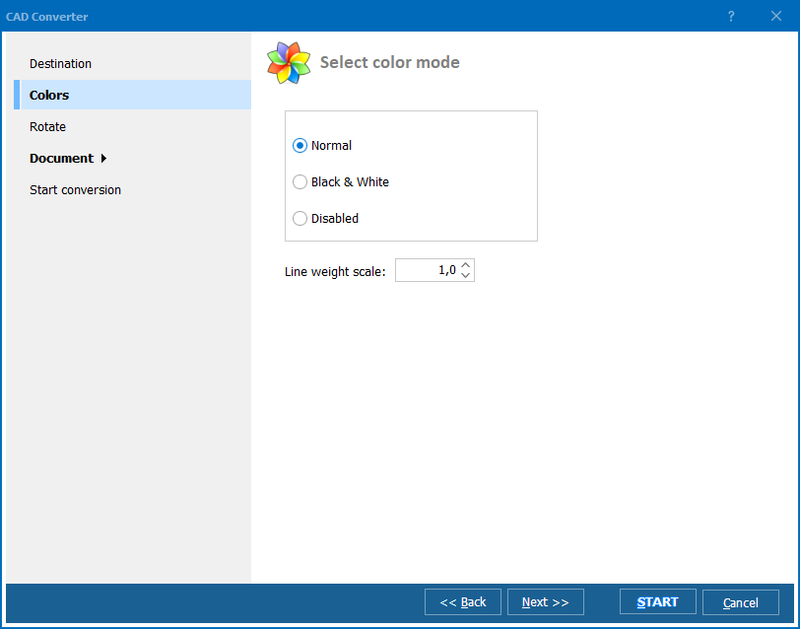 When all files are checked off from the list, move to top format bar and press BMP to open settings wizard. It will pop up offering you set various conversion parameters. Set what you like and press Start! 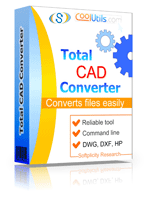 That is all you need to do with Total CAD Converter to get your HPGL files exported to BMP. Try it right now!